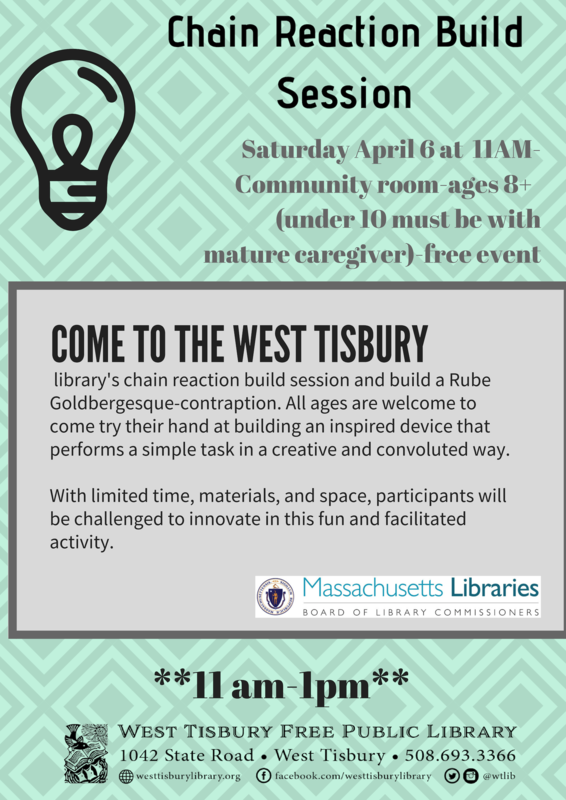 Saturday, April 6 from 11:00 am-1:00 pm to build a Rube Goldbergesque-contraption. 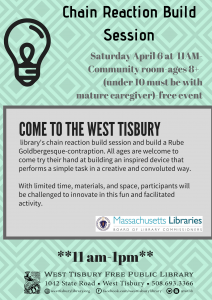 All ages are welcome to come try their hand at building an inspired device that performs a simple task in a creative and convoluted way. With limited time, materials, and space, participants will be challenged to innovate in this fun and facilitated activity. Free and open to the public! This event is for kids ages 8+. Kids under 10 must be accompanied by a mature caregiver.